These lovely local beans (yes, black eyed peas are actually a bean) was harvested last spring and dried. The farmer who grows the beans is called Centesimo. That is his nickname. All men have nicknames in Pantelleria. Centesimo’s means penny, or cent. His nickname makes reference to the fact that he is very thrifty and frugal. He harvests all his seeds from his own fruits and vegetables that he cultivates. 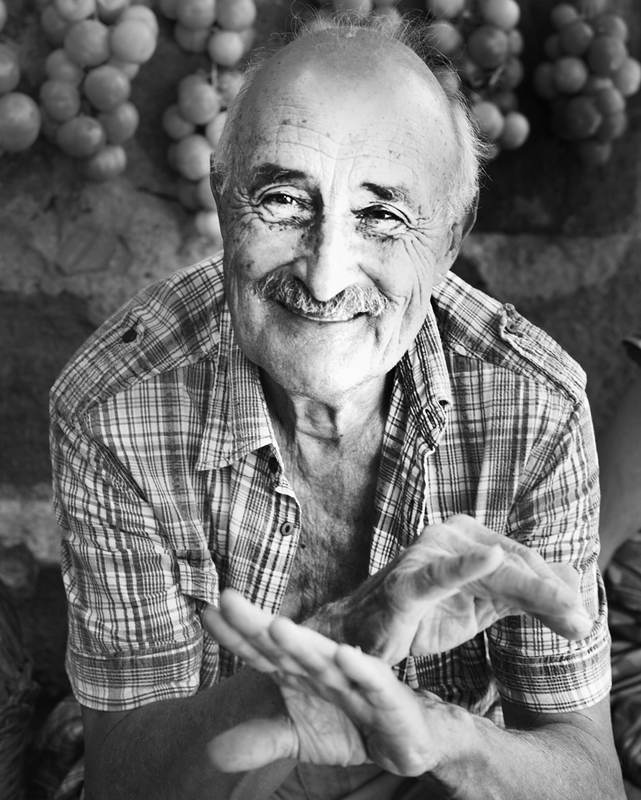 Centesimo and his wife live and grow their produce in Scauri, a village in the south west part of Pantelleria. When my friend Ines and I visited them this summer we got a lot of lovely products. I still had these black eyed peas, and was happy to use them last night. Yesterday we had rain and hailstorms all day. The three of us, Carlo (the boyfriend), Igor (the dog), and I were freezing. We spent all day inside, reading, watching a movie and just chilled out in front of the fire.For dinner I cooked this bean cassoulet with salsiccia and sage. It turned out to be a perfect meal for this cold day. The black eyed peas need to soak for 6-8 hours before you start cooking. Put the black eyed peas in a bowl or a container. Pour over the water and cover with a lid or a dinner plate. Let soak for 6-8 hours in the fridge. Wash, peel and both the onion and garlic finely, saute in olive oil until golden and soft, add the bay leaf and chili flakes. Wash, peel and cut the carrots and celery stalk in medium sized chunks and add to the onions with the black eyed peas, 2 cups wine, 2 cups water and 1.5 teaspoon salt. Cover with a lid and cook on medium to low temperature for about 45 minutes then add the last cup of wine, continue cooking. Add tomato paste, cream, sugar, Dijon mustard, cherry tomatoes and olives. Sauté the salsiccia lightly in a skillet on the side then add to the bean stew. you want them to have some texture. Crush the sage leaves and stir. Taste the stew before serving to see if more salt is needed. Serve with bread and red wine. 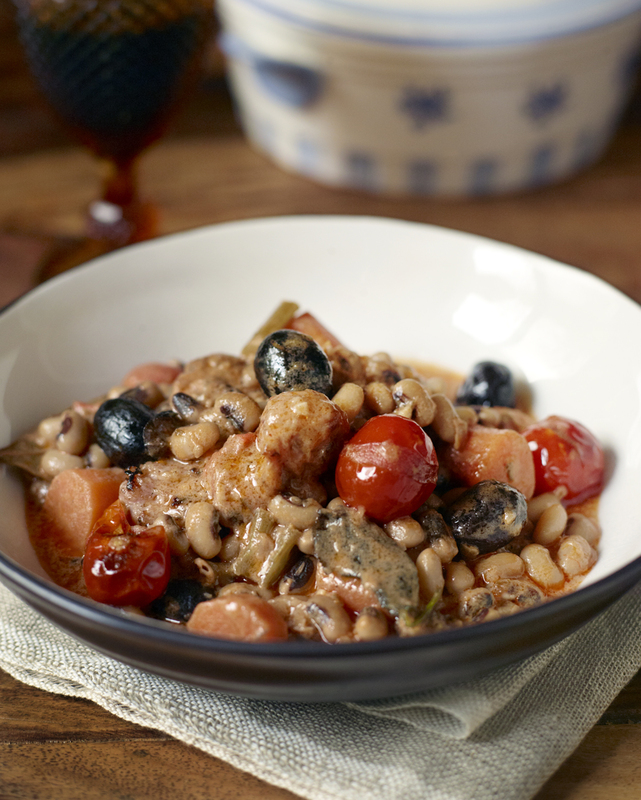 This entry was posted in Main Course Recipes, Pantelleria and tagged Anna Huerta, Black eyed pea cassoulet with salciccia and sage, black eyed peas, Centesimo, garlic, http://www.annahuerta.com/, olive oil, Pantelleria, Sicily, Under the Almond Tree on March 14, 2013 by Anna Huerta. This sounds delicious! But I have to ask you before I try – what do you mean by “cup”? Normally a cup eqauls 2.365 dl but in your recipe you say 1 cup cooking cream equals 1,2 dl. Does this go for all the cups in your recipes? Hope you answer this because I would really love the casserole to turn out as yummie as your looks! Hi Lu, you are correct, this morning when I published I lost a 2 in 1/2, without noticed it, I have now updated the recipe so it should be correct. Thank you so much for drawing the attention and contact me. All the recipes are american cups, I usually also write out the dl messure. Thank’s again Lu and good luck with the Cassoulet. Lovely! Thank you, Anna. And thank you for a beautiful and inspiring blog. 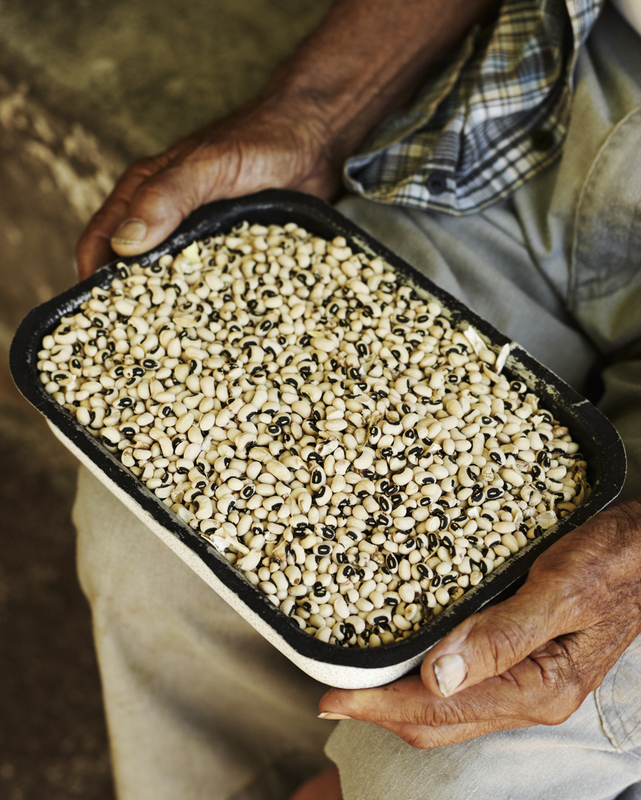 Beautiful photos and what a great way to turn a humble bean into such vibrant dish! Thank You! And right now I reading your blog, Great work!